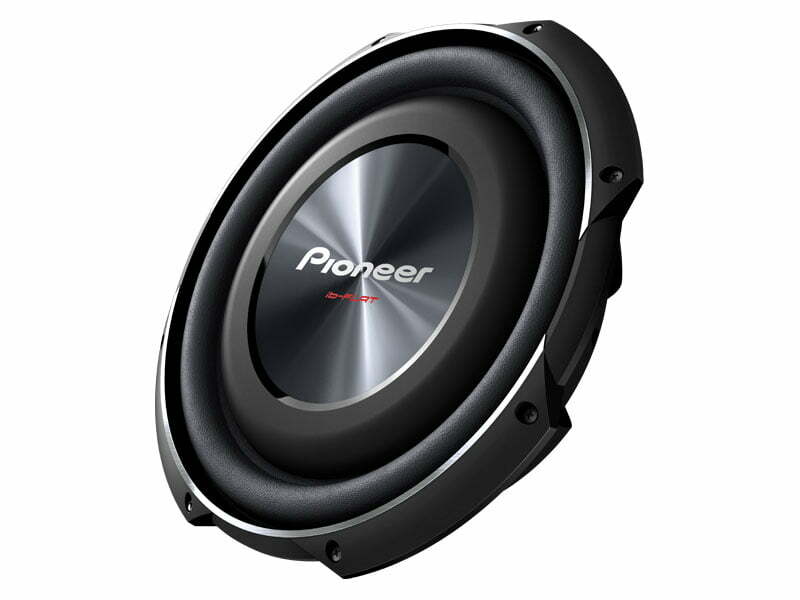 The Pioneer TS-SW3002S4 Shallow-mount 12″ 4-ohm subwoofer is one of line of Pioneer shallow subwoofers which are designed to provide wider installation options for a broad range of vehicles. These shallow-mount subwoofers feature multiple patent-pending features to deliver the big bass performance of a full-size subwoofer, but in a compact design that can be installed either behind or under seats depending on the type of vehicle. The mounting depth is just 3-3/8″ – less than half a typical subwoofer in this class. 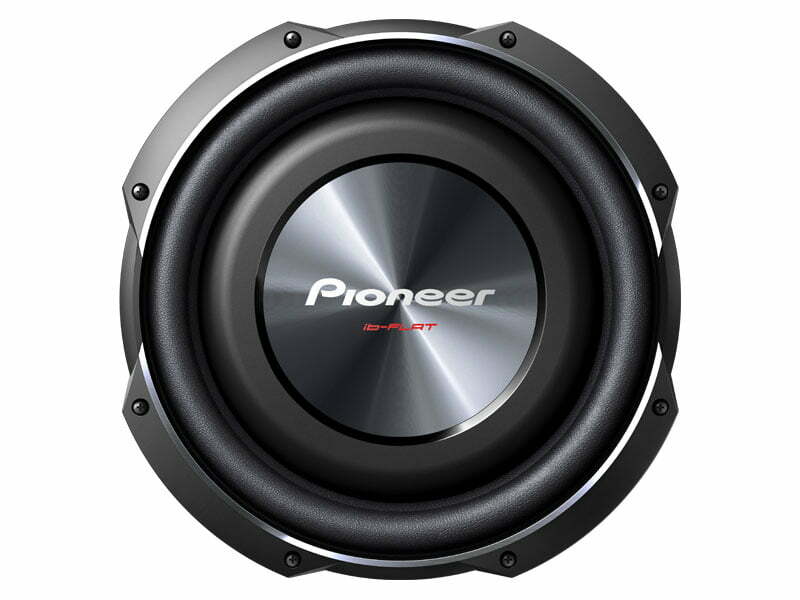 This 12″ shallow subwoofer handles 1,500 watts max., 400 watts nominal power, and delivers deep bass with top-notch sound quality thanks to features like Pioneer’s MICA injection-molded resin which gives it the ability to produce accurate bass. Designed to perform in small enclosures or spaces that traditional subwoofers can’t fit, like behind the backseat of pick-ups, the TS-SW3002S4 can produce a lot of bass without having to sacrifice space in a trunk or truck cab.